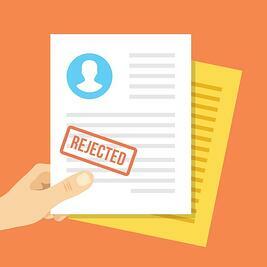 Claim rejections add work to your already busy optometric billing manager. Not to mention, they cost your practice money. While the reason for an electronic claim rejection varies, making one small adjustment to your claims management lifecycle could result in fewer claim rejects and increased profits. Today’s post reveals one of the most effective, and simple strategies your optometric billing manager can employ to reduce claim rejections. Finding out that the patient’s insurance doesn’t cover the service isn’t fun. When you pull the patient’s eligibility, read the payer specific guidelines to check for services covered. If the payer doesn’t insure the services requested, it’s important to inform the patient before the appointment that they will be financially responsible. Doing so may save you from having to write-off the claim. If you find during the eligibility check that your patient may be uninsured, confirm the patient’s information to ensure no errors were made. Figuring out the timing is important. Sometimes, you may get the coverage termination rejection because you checked their eligibility too early. For example, if a patient scheduled an appointment for June, and you checked their eligibility in May, you might receive a claim rejection because the patient may have missed their insurance payment for the month of June, resulting in coverage termination. If this is the case, you should obtain an Advance Beneficiary Notice to explain why you think a certain test is important. Using an automated eligibility system offered by a clearinghouse provider or embedded in your practice management system can make it easier for your staff to quickly review a patient’s eligibility status before the exam so they have an idea of what the invoice could look like. For a deeper dive into the other fixes for common claim processing errors, download the guide to common claim filing denials.